The Real History Of Valentine’s Day and Saint Valentine: Tune in today to hear special guest, Bill Federer, give us the real history behind Valentine’s Day! You’ll learn about the saint the day is named for as well as lots of unknown facts. Join us now! Christmas Messages from US Presidents and Others: We’re bringing you some special messages from US presidents and others who have given very strong Christmas presentations! We’re also going to play a little vocal recognition game! Tune in now for more! Christmas - The History of Saint Nicholas & Other Holiday Traditions: The celebration of Christmas wasn’t always what it is today. In fact, the celebration of Christmas used to be illegal in America! Join us today as we dive deeper into this subject. We’ll also be looking specifically at the history behind Saint Nicholas. Tune in now for more! Honoring Our Veterans Who Are Serving During Christmas, And Remembering The Reason For The Season! 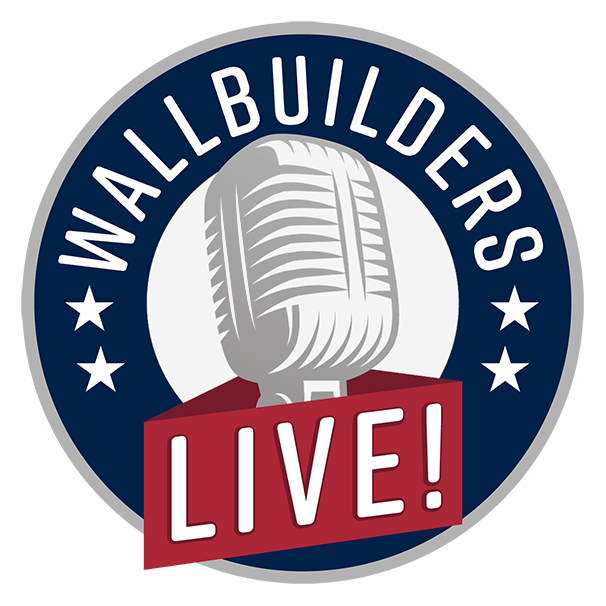 MERRY CHRISTMAS to all of our listeners from WallBuilders!!! Today all around the world we’re celebrating Christ, the reason for the season! In the hustle and bustle of getting ready for family dinners and parties, let's not forget the reason we come together to celebrate: The birth of Jesus Christ! Today, we had the privilege to talk with Pastor Tim Brooks & Congressman Colonel Brian Birdwell on how we can share that Christmas spirit with our military, prisoners, and how to share that love everywhere we go and especially how to remember our vets who are serving during Christmas. Tune in now to learn more! Christmas is coming soon and we couldn’t be more excited! Today, we are talking with David Barton, Tim Barton, and Rick Green on looking at Christmas through a constitutional, historical, and a Biblical perspective. Then, Mat Staver will be with us talking about what is happening legally with Christmas. It’s an exciting episode that you won't want to miss! A Special Gift: How To Make a Real Difference This Christmas With Misty Huddleston. In this episode, we talk with Misty Huddleston on how to make a real difference this Christmas! Most of us want to make a real difference but are not sure how. Well, in this episode you will learn a very simple but impactful and important way of changing lives this Christmas! Tune in now to learn more! The Jefferson Lies is Back!